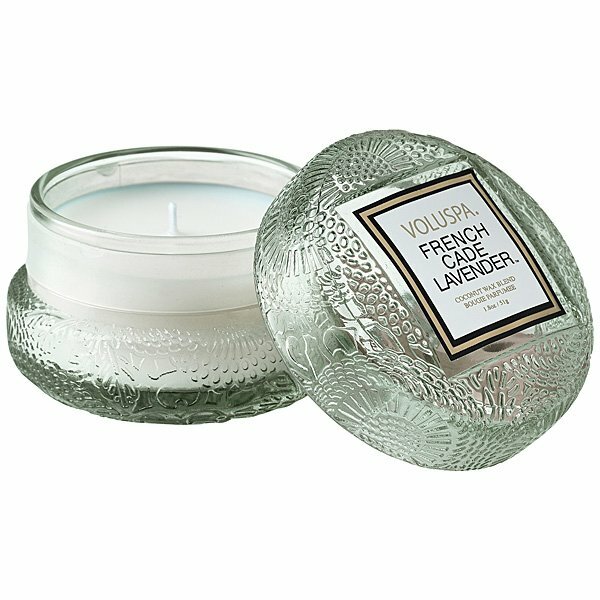 Voluspa French Cade & Lavender Macaron Candle, a delicately colored glass jar shaped like a macaron cookie, combines the rare French cade wood with lavender Bulgaria, verbena and moss for a gorgeous and unusual scent like no other. The Japonica Collection Macaron Candle is a delicately colored glass jar shaped like a macaron cookie, embossed in an intricate design, inspired by Japanese paper making. Stack them, pile them up, always use more than one, because who’s counting?